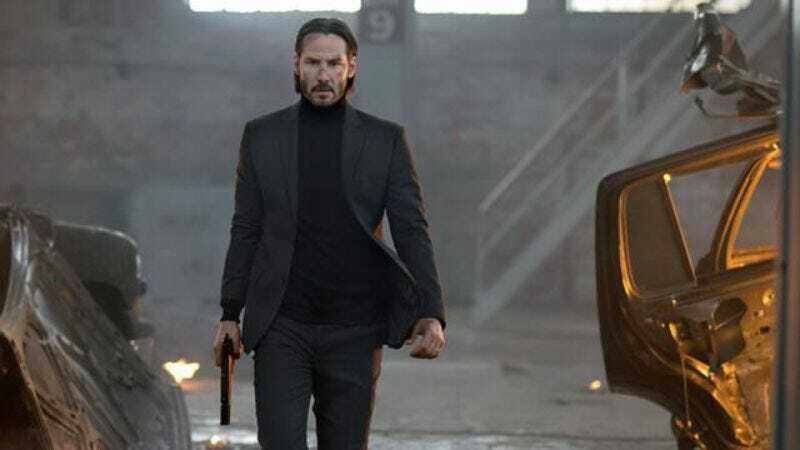 As reported by Variety, John Wick co-director David Leitch has dropped out of filming that movie’s sequel so he can solo-direct a spy thriller, leaving Chad Stahelski to co-direct John Wick 2 all by himself. Leitch’s spy thriller is titled The Coldest City, and it’s set to star Charlize Theron. We reported on the existence of The Coldest City back in May, but the plan back then was for both Leitch and Stahelski to co-direct it together after they were done with some other projects. Now, for whatever reason, the studio has decided it wants The Coldest City to go into production sooner, so Leitch had to make a choice whether to abandon it entirely or drop John Wick 2. He obviously chose Coldest City, because that’s what this whole story is about. In the film, Theron will play “a super spy who springs into action after an underground MI6 officer is killed just before the fall of the Berlin Wall.” It sounds a little like John Wick, then, if the MI6 officer is Wick’s dog, the fall of the Berlin Wall is his intended retirement from being an assassin, and Charlie Theron is Keanu Reeves.